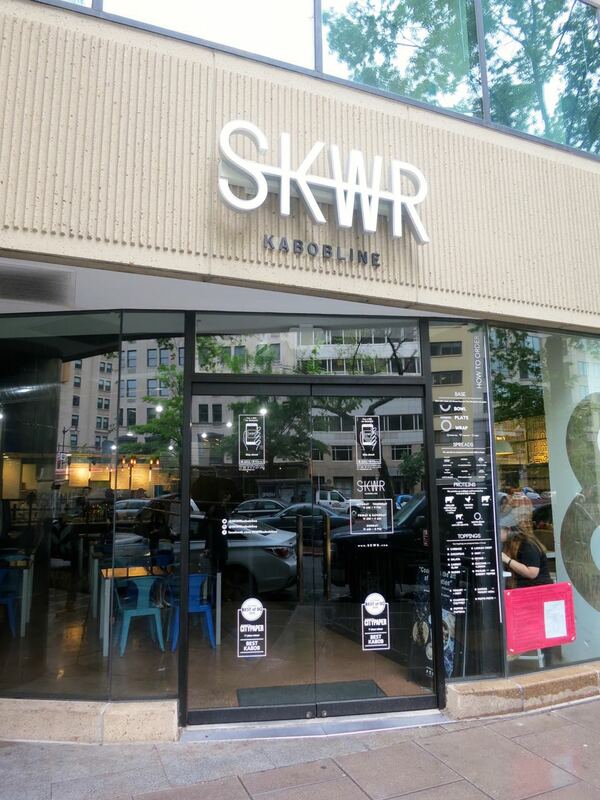 Just last year, a new fast casual concept popped up on K Street called SKWR - kabobline. My friends raved about how good it was, so I thought I'd give it a whirl. The line tends to get quite long after noon, so we headed over at 11:45 a.m. Voila - no line! The concept is not unlike that of Cava Mezze Grill or Roti with a few differences. You choose a bowl, plate, or wrap. Why there's a bowl and a plate, I have no idea. Then, you choose your rice or greens or a combination of both. I went with the brown basmati rice and kale. Next, you choose your spread of which the Hummus, Jalapeno Cilantro Chutney, and Apple Chutney are vegan. I went with all three. For the protein,only the white bean falafel is vegan. Then, you choose your toppings. I went with the cabbage, cucumber and tomato salad, and mint. Lastly, you choose your sauce. I went with the Charred Chutney. 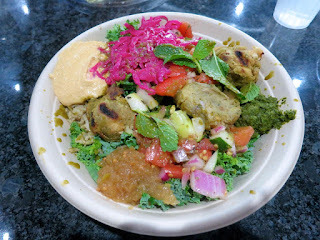 While I really liked the white bean falafel and appreciated how different it was from your typical falafel, I did not think it was as good as Cava Mezze Grill. The charred chutney really didn't add anything to the dish. The apple chutney tasted like dessert and didn't go with the savory flavors at all. Everything else was pretty good, but I still wouldn't choose this place over Cava. All in all, the food is good, but given the other options for $10 in the area, it isn't going to top my list. 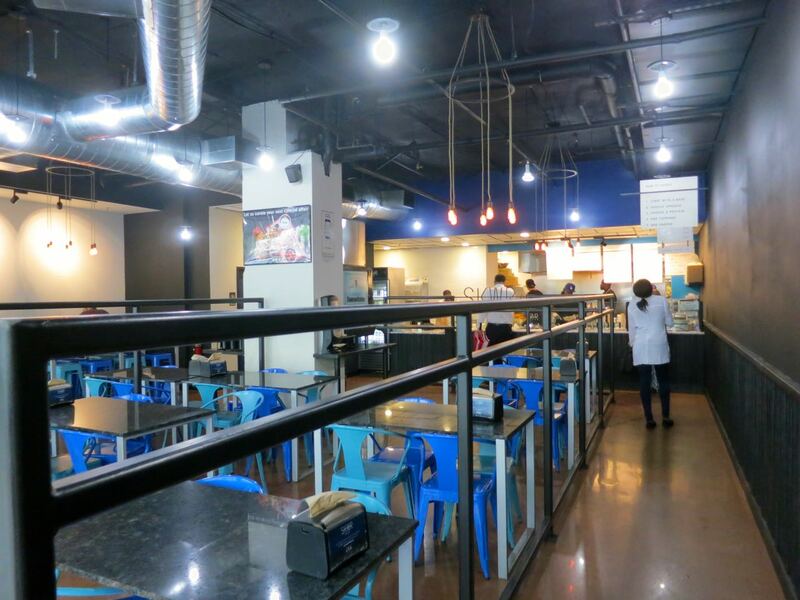 I'll give them an A for ample seating with their huge dining area. And I appreciate that all vegan items are marked. Two recommendations are: (1) replace the metal chairs with wood for comfort and (2) devise a better system for marking vegan, vegetarian, and gluten-free as the symbols are so small they are hard to discern.